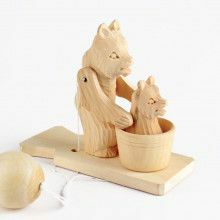 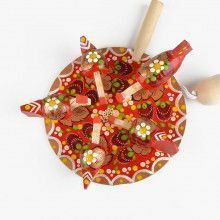 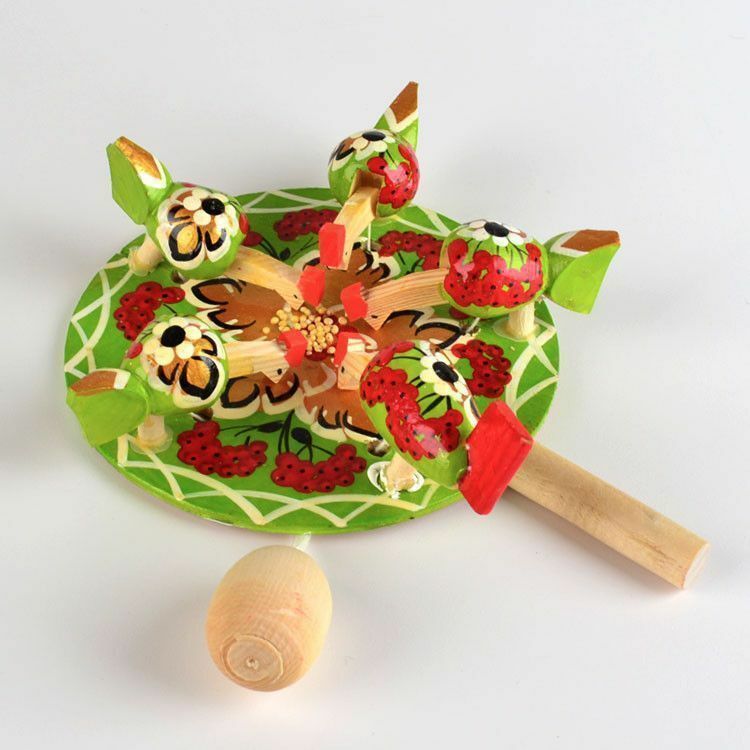 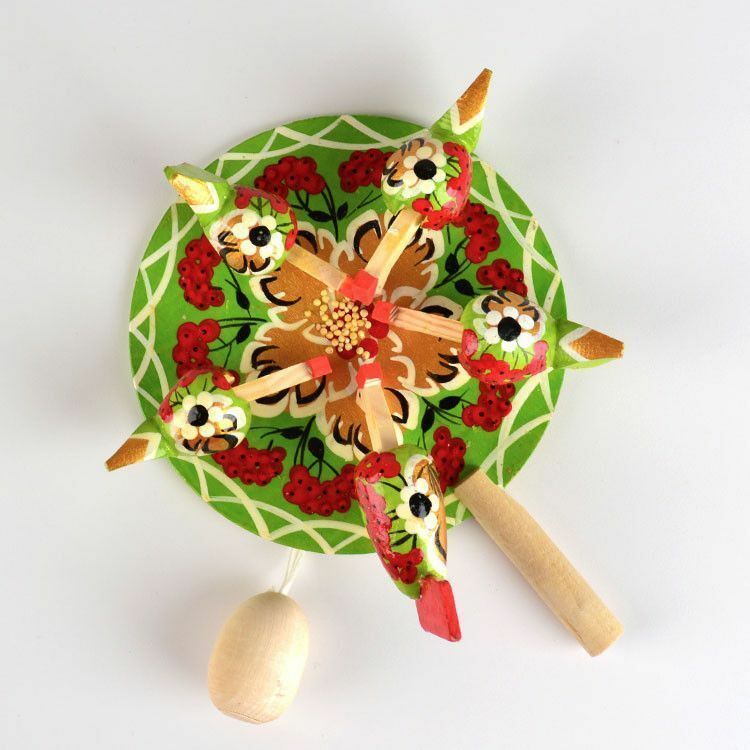 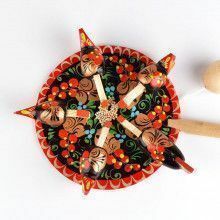 This hand-painted wooden toy is a piece of Russian folk art that has been amusing young and old since the 13th century. 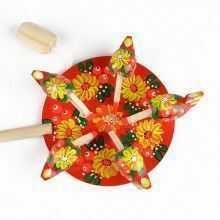 When you hold onto the handle and make a circular motion, the ball starts to swing and the hens begin to move, pecking at the food, and making quite a bit of noise. 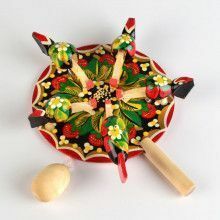 It is Approximately 5" in diameter, is handmade from wood, and imported from Russia. 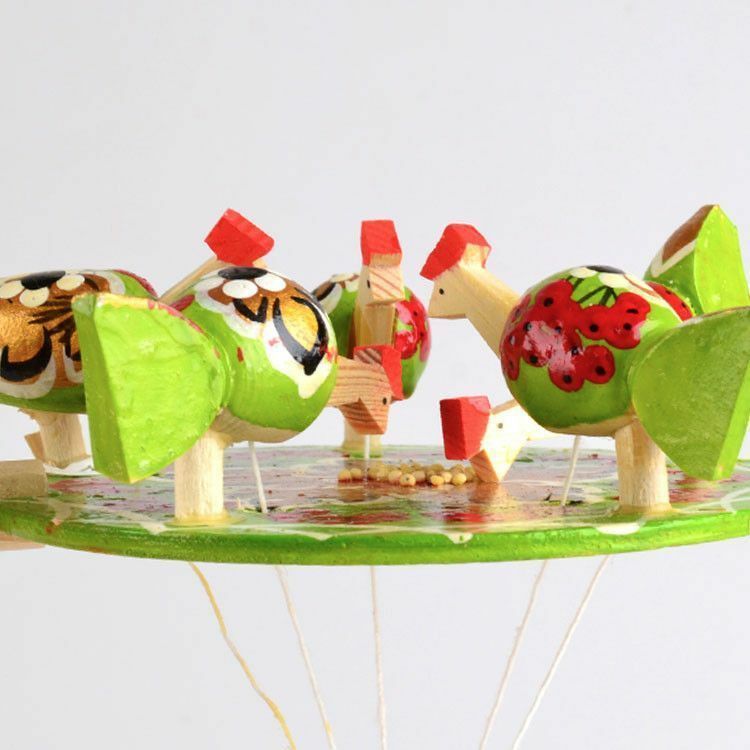 Due to being handmade and painted, designs will vary.